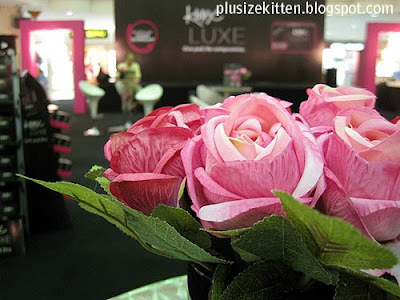 Foya at 1utama yesterday night, on way to taxi stand saw the black & pink themed Kotex Luxe roadshow event at old wing concourse area until this weekend (with more cool activities). 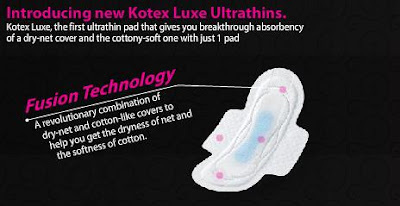 Kotex is promoting their latest New Fusion Techonology Kotex pads that combines the dryness of a net cover pad and softness of a cotton cover pad. A lot of word to describe a new pad don't you think? basically it's new pads that comfy & absorbs well & has cotton wings instead of plastic wings (good for those sensitive to plastic wings). I still remember my classmate from school complaining to me that her pad gives her rashes and she's allergic to them. Their roadshow has some pretty nifty stuffs for shopaholics. First you can check out the Kotex Luxe pads (have a feel) and if you're itching to purchase make sure to get their limited edition tin can 5pcs starter pack RM3.90 which is a black & fuchsia packaged tin can fill with fuchsia covered pads. Their night time pads is worth a look too, it's so big! (kekeke) RM15.90 for 14pcs. lucky draw prizes sony digital camera! guess watch! 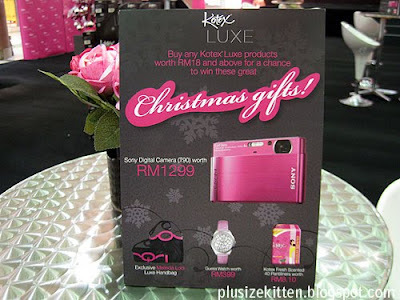 and with every RM18 purchase of Kotex Luxe you're entitle to a lucky draw on the spot, guarantee a gift. The grand prize is a Sony Digital Camera! (which I don't think they're going to make it easy for anyone to win), Guess watch, Melinda Looi designer Kotex bag and Kotex pads. I got the Melinda Looi designer Kotex bag lol!!! The quality of the bag is so-so only. also with any purchase of Kotex Luxe, you can enter the DAY & NIGHT Contest to win Melinda Looi's dresses! whoopeee 7 winners! this contest is until February so I am predicting that it's going to be pretty tough to win this. love this one!!! arrghh just give it to me! Attention freebieholics! you might want to check out Kotex Luxe website to get the free limited edition 5pcs tin can and a sample as well (but the page is not ready yet). 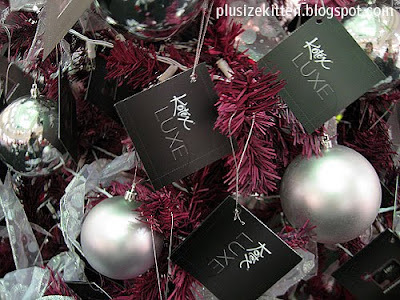 Click here Kotex Luxe Website. the black bag is freegift? Arghh..I wish I can go too.. Saw the ads on Jan's Cleo, I wannt get that RM3.90 Tin!!! Will there be any kotex roadshow around KL? ?